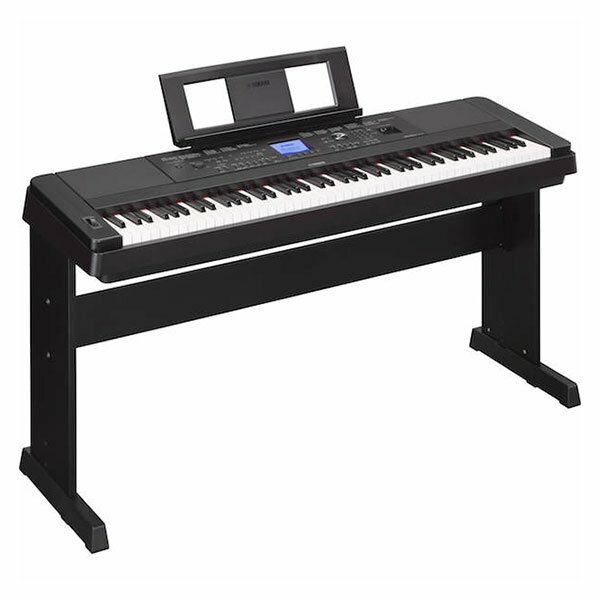 The DGX-660 contemporary digital piano gives aspiring pianists a fun way to enhance their learning experience. Players of all abilities can feel what it’s like to play with a band and sound like a pro. The built-in USB Audio Recorder captures your musical inspirations when you’re ready to share your accomplishments. 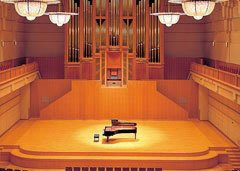 Choose your piano, and choose where you’ll play it! Welcome to your personal “Piano Room”! 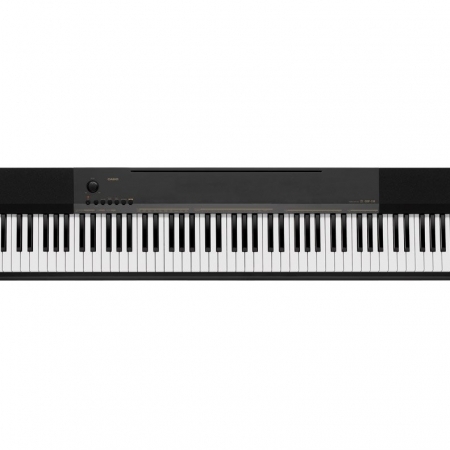 The DGX-660 provides a dedicated virtual space where you can choose from a variety of pianos and acoustic settings, creating your personalized practice or performance environment. 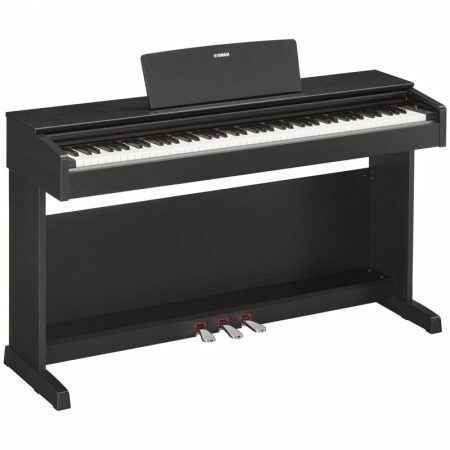 Simply select your desired piano, then choose acoustic spaces from a plain room to a club stage to a concert hall. You can even adjust the position of the virtual piano lid! 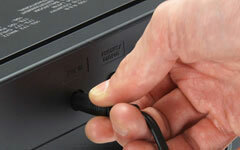 Optional wireless adaptors from Yamaha stream audio and MIDI to and from your iOS device with compatible music apps. The Chord Tracker app takes full advantage of this technology, allowing you to play back songs from your iOS device song library wirelessly through the DGX-660’s speaker system. Chord Tracker analyzes the audio songs stored in your iOS device and then displays the chord symbols for you. 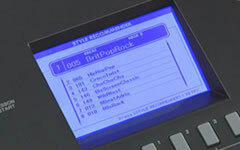 It can even create an XF song file that plays back the entire song using the DGX-660’s accompaniment Styles. 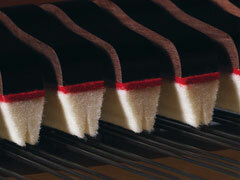 The Pure CF Sound Engine is the result of years of piano-making history combined with state-of-the-art sampling technology and piano expertise. 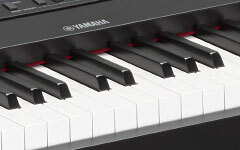 Yamaha is the industry leader in digital piano technology, and you can hear this in the Voices that utilize the Pure CF piano sample. 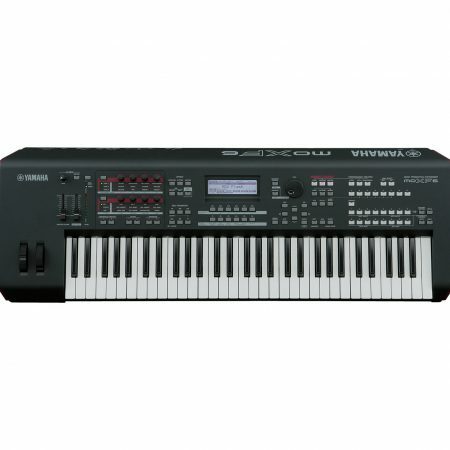 The sound of the renowned Yamaha CFIIIS 9′ concert grand piano is faithfully reproduced, allowing for incredible dynamics and expressiveness, making the DGX-660 worthy of the Yamaha name. 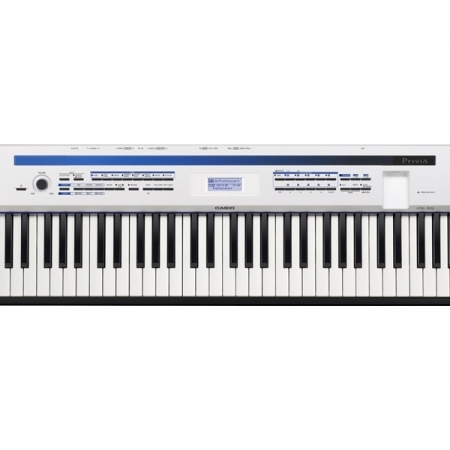 The crystal-clear LCD can be switched to score or lyric display, showing you notation for any MIDI song that the DGX-660 is playing. Read the music for your favorite built-in songs, or follow along with songs downloaded to a USB device from Yamaha MusicSoft. 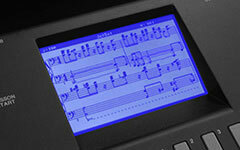 Even see the score for songs you’ve created yourself on the DGX-660! Smart Chord makes you sound like a pro, even if you’re just learning how to play. With a single finger on your left hand, Smart Chord will create entire chords from simple Pop triads to complex jazz 7th and 9th chords. 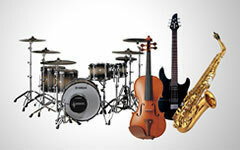 Accompaniment Styles create the rest of your virtual band so you can get straight to playing music. Style Recommender – Choose styles the easy way! Style Recommender helps you find styles quickly and easily when you know how the music should feel, but don’t know which style is right for the part. Simply play a few notes in the rhythm of the song you want to perform, and Style Recommender will offer a list of matching Styles to choose from. Use the Aux line input to connect your portable music player or even another instrument and hear the playback through the speakers of your DGX-660. The DGX-660’s speaker system is powerful, clear and fine-tuned for playing back music of all types.